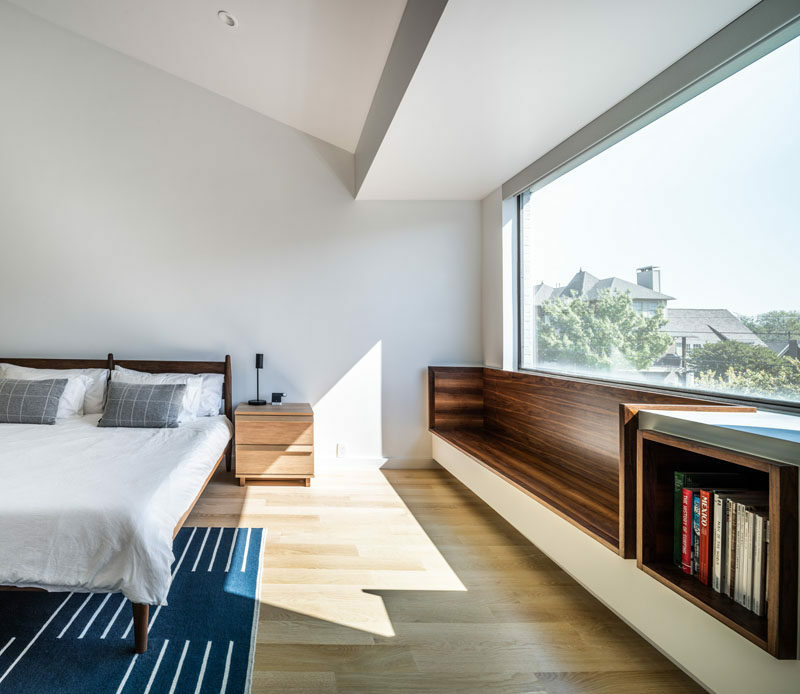 As part of the interior renovation of a home in Dallas, Texas, architect and interior design firm OFFICIAL, included a built-in window seat and bookshelf in the master bedroom. Sitting below a large picture window, the wood-lined window seat adds a natural touch to the room, while providing a place to relax and read a book from the small built-in bookshelf that accompanies the seat. 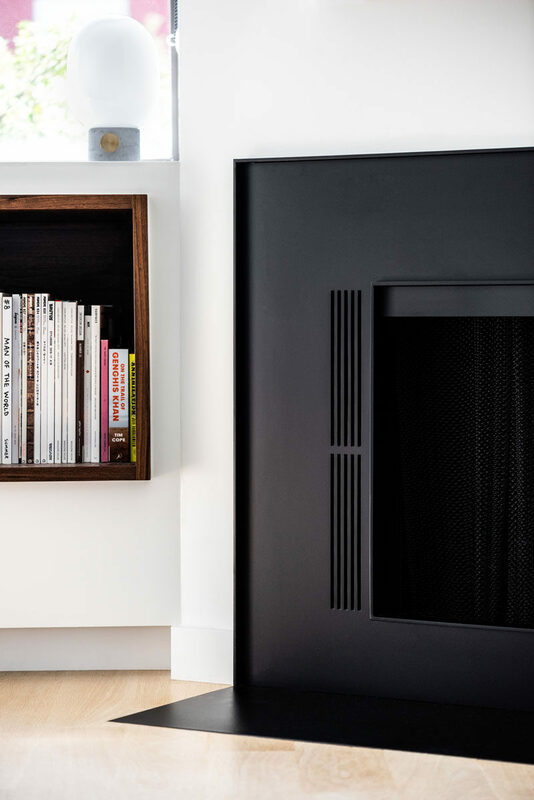 Here’s a closer look at the point where the bookshelf meets the fireplace, that was also treated to an upgrade with a minimalist powder-coated steel enclosure as part of the renovation.